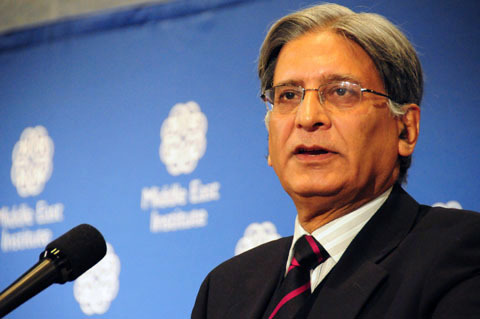 Senator and Pakistan Peoples Party Senior leader Aitzaz Ahsan Monday (today) while talking to the media stated that Hussain Nawaz himself disclosed about their property worth billion of dollars. During a joint opposition press conference, Ahsan said that the government kept the same terms of reference (ToR ) which the Supreme Court nullified. “Any name that appears in the Panama leaks, the accountability of not only that person but of the entire family should be carried out,” says Aitzaz. Pakistan Tehreek-e-Insaf senior leader Shah Mehmood Qureshi said that the government is trying to give the impression that they have reached deadlock over one particular point in ToRs.